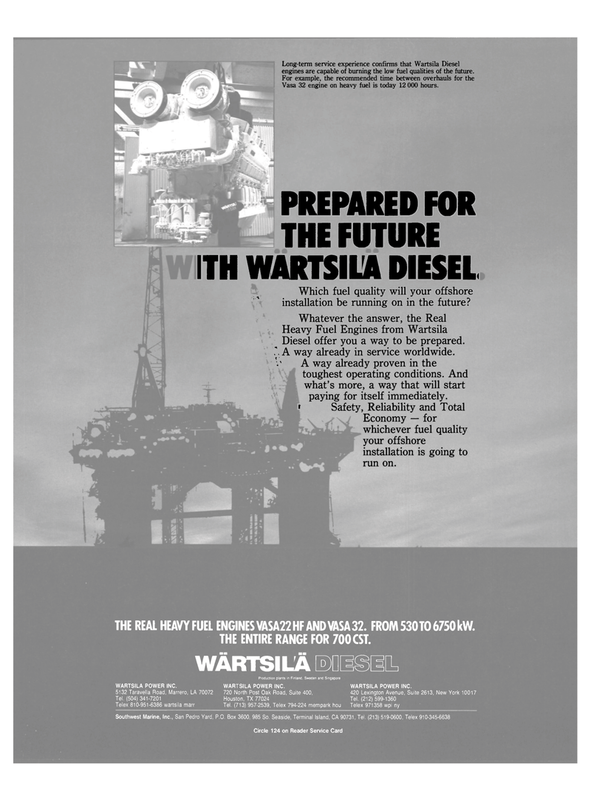 Long-term service experience confirms that Wartsila Diesel engines are capable of burning the low fuel qualities of the future. Vasa 32 engine on heavy fuel is today 12 000 hours. Which fuel quality will your offshore installation be running on in the future? Diesel offer you a way to be prepared. :,A way already in service worldwide. Economy — for whichever fuel quality your offshore installation is going to run on. THE REAL HEAVY FUEL ENGINES VASA22HF AND VASA 32. FROM 530TO 6750 kW. THE ENTIRE RANGE FOR 700 CST.